Cichlids of the genus Tropheus have fascinated aquarists since they were first exported from Lake Tanganyika in the late 1950s. It may have been their „unconventional“ shape, or the fact that females brood their offspring to a relatively large size inside their mouths, that initially appealed to hobbyists. They are still some of the most popular cichlids kept in aquaria. Over the years much has been said about their incredible diversity of coloration, with almost any new area collected in the lake resulting in new variants, and the emphasis in the aquarium literature has almost always been on the number of variants, morphs, or species that exist in the lake. Behaviorists have, however, discovered that Tropheus species exhibit unique breeding behavior not recorded from any other group of cichlids. 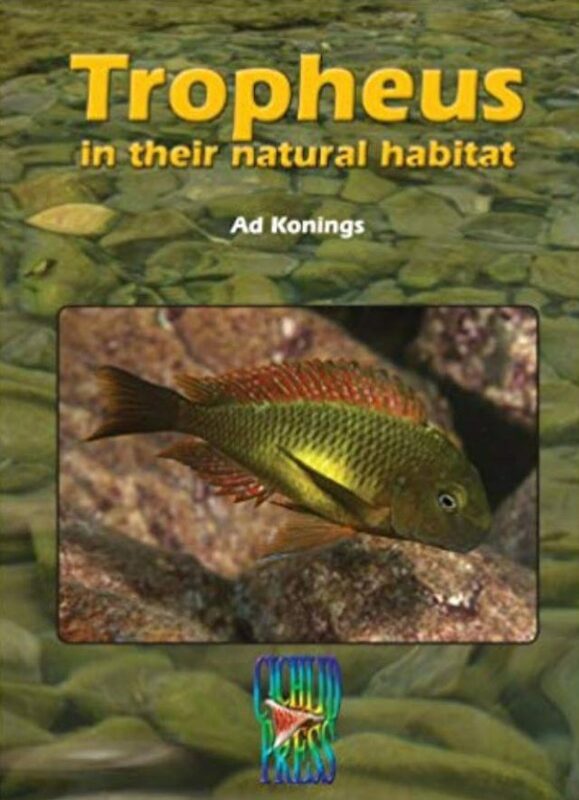 Their behavior in the wild, as you will read in this book, is ruled by ecological factors that cannot realistically be duplicated in the aquarium, and for this reason these fish behave rather differently in captivity. The information in this book is based on observations in the wild and almost all photographs were taken in the lake and show the fishes in their natural habitat. Contents: Introduction, Lake Tanganyika, Maps, The Genus, The Species, Geographical Variation, Territory, Feeding, Breeding, Classification, In the Aquarium, References, Index.